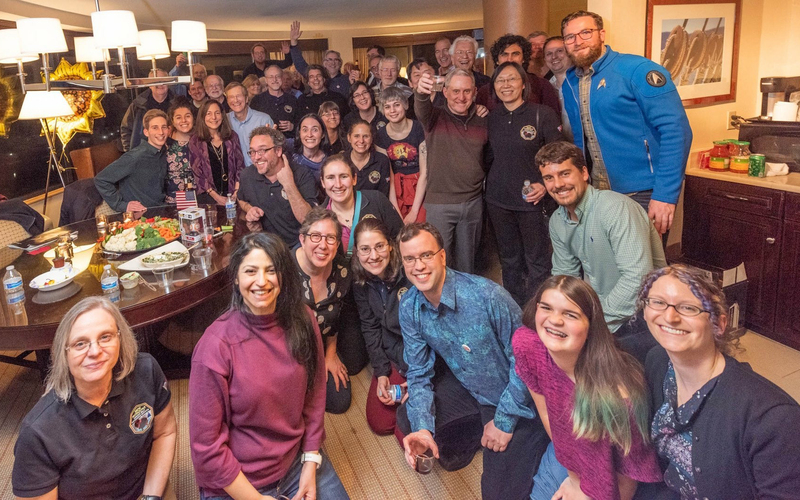 As I suspect everyone who follows this blog knows, on New Year's Day, the New Horizons team successfully completed the flyby exploration of an ancient Kuiper Belt object we nicknamed Ultima Thule (officially called 2014 MU69). As a result — and for the first time — a primordial Kuiper Belt object (KBO) has been explored, and now the data have begun to rain down to Earth. A handful of images were sent back during flyby week; then we had to pause Jan. 4-9 because New Horizons, as seen from Earth, slipped into the solar corona (as it does every January), hampering communications. 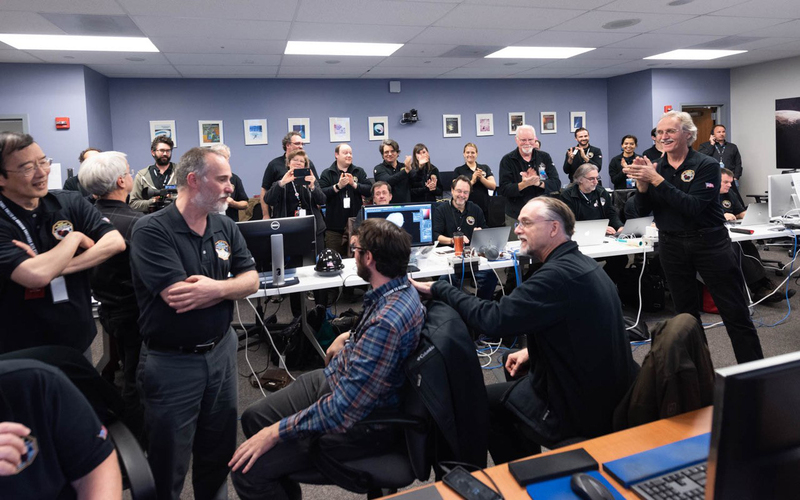 But on Jan. 10 the data began to flow again, and over the next several months, hundreds of images and spectra and other precious Ultima Thule datasets, now stored in New Horizons' solid-state memory, will be sent home. is clearly a contact binary of two roughly spheroidal worldlets that gently merged billions of years ago, with much to teach us about the formation era of the planets. has no satellites or rings or atmosphere (at least in the early data returns). is clearly red, but shows little color difference between its two lobes. shows a variety of distinct and fascinating surface reflectivity markings, including a remarkably bright "neck" between the two lobes. And, by the way, my report is just one of 40 abstracts that our team submitted for the conference, containing many, many more findings. 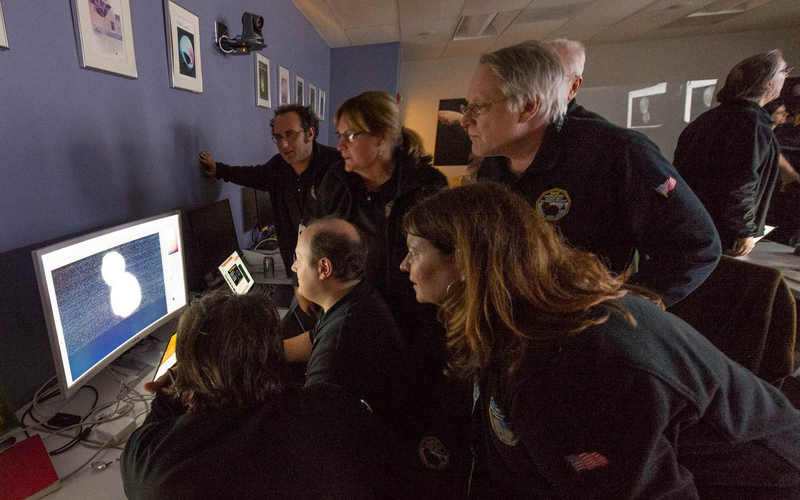 So far New Horizons has returned just 1% of all the data it gathered on Ultima Thule. It will send the rest over the next 20 months; but even by late February we'll have far more detailed geologic, color and stereo images than we have now. We'll also have more information on UT's shape and composition, and better constraints on (or maybe even detections of) moons, rings and an atmosphere. And if that wasn't enough, New Horizons had already resumed observing distant KBOs as well as the radiation, gas and dust environment as it pushes farther into the Kuiper Belt. Notably, in March, we'll look at a KBO called 2014 PN70 — which was one of our alternate flyby targets to Ultima Thule. 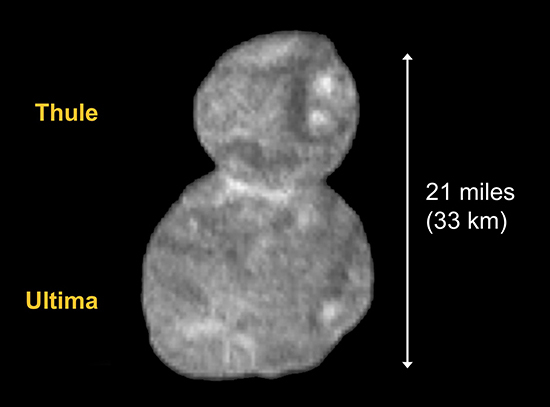 Don't expect PN70 to be more than a dot in those images, but they should yield valuable information on the object's rotation period, surface properties, shape and any satellites — which we'll compare to Ultima Thule. 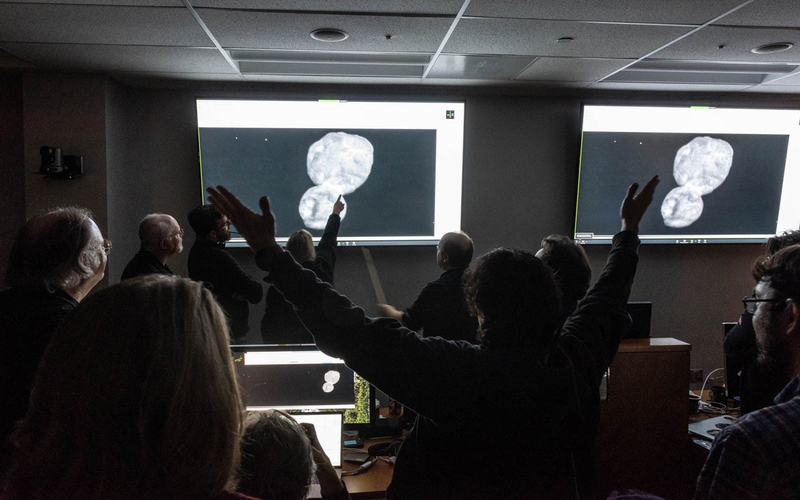 The flyby of Ultima Thule was much more difficult for our spacecraft and mission team than the flight past Pluto. But both team and spacecraft rose to the challenge and conducted a flawless flyby, with record-accurate navigation and spectacularly successful scientific results. 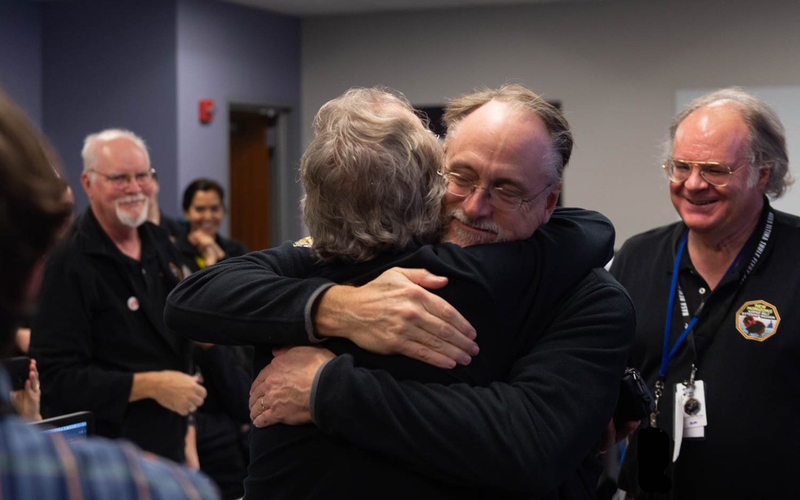 There were a lot of dramatic and emotional scenes around the flyby at the Johns Hopkins Applied Physics Laboratory, which built New Horizons and manages spacecraft operations. Images of a just few of those moments are shown below. 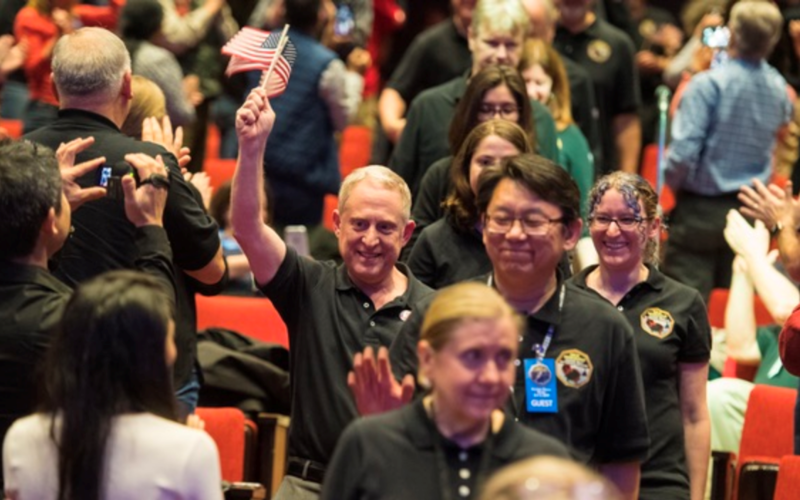 A few of the many scenes of mission team joy and accomplishment at NASA's New Horizons flyby of the primordial KBO nicknamed Ultima Thule. Images by Henry Throop and Ed Whitman. 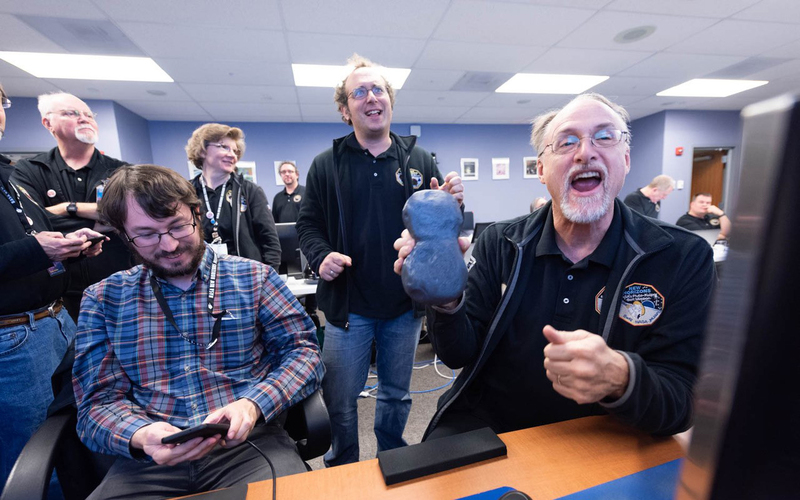 And in other news that portends especially well for our hoped-for future extended mission (beginning in late 2021) to explore still farther into the Kuiper Belt: post-flyby engineering results show that we even managed to pocket some extra fuel for future missions that we had reserved for Ultima Thule, but didn't need! 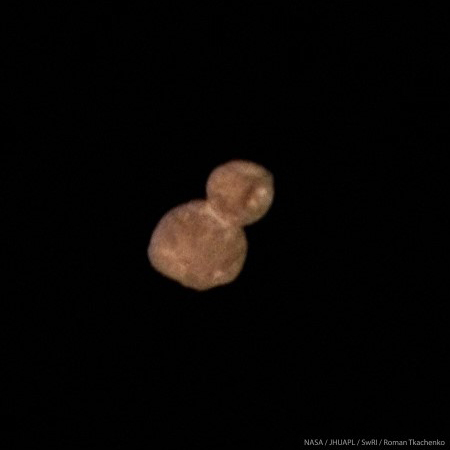 Well, that's my initial post-Ultima Thule flyby report. I plan to write again in the spring. Meanwhile, I hope you'll always keep exploring — just as we do! There are many ways to follow New Horizons news and commentary on social media, such as these listed below. You can find others by searching the web.